Reliability combined with long maintenance intervals are essential for modern traction motors. To meet the needs of transport operators, SKF has developed specific bearing unit solutions. Modern transport solutions, particularly urban tram systems, demand that a key com-ponent, the traction motor, exhibits good reli-ability combined with a low need for maintenance. 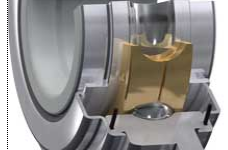 SKF has developed specific integrated bearing unit solutions that meet these stringent operating conditions for traction motor bearings. 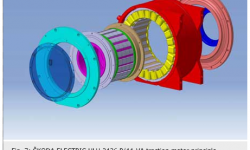 The latest development phase for traction motors is the traction motor bearing unit (TMBU) design with integrated sensors to detect speed and absolute positioning. The position signal is used for the AC drive control system and the speed signal to control the brake system. 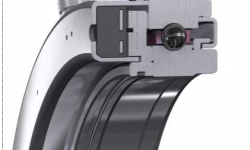 The sensor housing is directly flanged on the stationary part of the labyrinth sealing system, and the impulse wheel function is integrated into the rotating part of the sealing system. 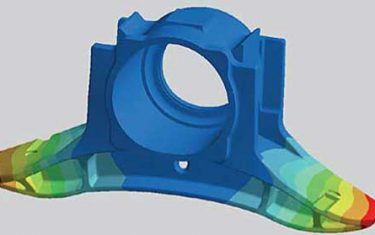 This design follows the technical trend towards the increased use of ready-to-mount units or subsystems that incorporate additional technical features with sealed and greased-for-life bearing units. Operating conditions for traction motor bearings are very different from those normally encountered in electric motors used in other industries. The key to a lower life-cycle cost is in the design. The technical trend is towards the increased use of ready-to-mount units or subsystems that incorpor-ate additional technical features. As such, more and more sealed and greased-for-life bearing units are being employed in railway applications. The SKF traction motor bearing unit, TMBU, is a pre-lubricated and sealed unit that is a ready-to-mount subsystem and flanged directly to the traction motor shield. 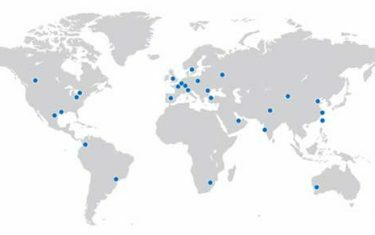 SKF, with more than 85 years of traction motor bearing know-how, has been supporting the reliability and lower life-cycle cost targets of all kinds of drive systems. With expertise in bearings, services, seals, lubrication systems and mechatronics, SKF has developed unique and highly reliable system solutions, such as sealed and pre-lubricated bearing units equipped with sensors for locating and non-locating bearing arrangements. The SKF traction motor bearing unit is a robust, reliable, lightweight and compact design. It must also cope with difficult envir-onments that may include a high level of contamination and humidity as well as variations in speed, temperature, load, vibration and shock loads. The TMBU concept offers new opportunities for space savings, easier mounting, longer maintenance intervals and improved performance. Potential bearing damage arising from electric current flow can be avoided either by insulating with a ceramic coating or by using hybrid bearings with ceramic rolling elements. Today most tramcars are designed as low-floor vehicles to enable passengers to enter the car more easily. Special traction motor designs and drive system arrangements have to be applied because of space limitations. The latest design (se bild . 1) is based on a hollow shaft arrangement and an integrated cardan shaft that directly drives the independent wheel. On both sides, a hybrid TMBU is employed to gain space in the axial direction. 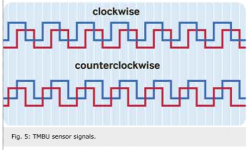 An integrated absolute positioning sensor with additional speed detection contributes further to the space-saving approach. 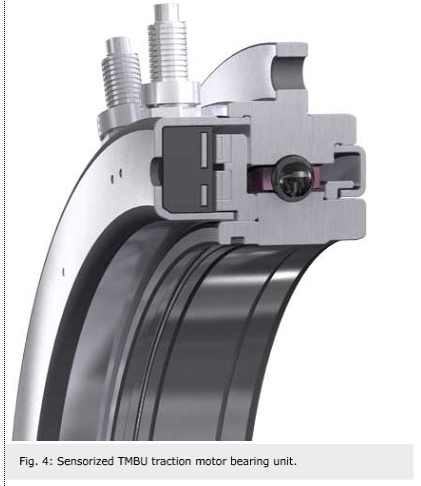 The TMBU in the non-locating position is based on a cylindrical roller bearing design, and the TMBU in the locating position is based on a deep groove ball bearing design. The TMBU is a sealed and pre-lubricated bearing unit, designed for flange mounting on the housing. A special grease is selected to achieve extended grease life, even at high operating temperatures. The bearing unit is equipped with frictionless non-contact labyrinth seals. To increase reliability, electrical insulation is realized by using a bearing with either an INSOCOAT coating or a hybrid design with ceramic rolling elements. The TMBU concept offers space-saving opportunities particularly in the axial direction. More traction motor power for given motor size can be achieved by using TMBUs. 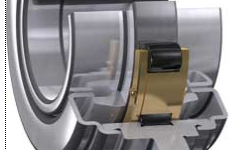 The TMBU concept for locating bearing arrangements is based on a deep groove ball bearing design (se bild . 2). This sealed and pre-lubricated bearing unit has an integrated flange on the outer ring that is bolted onto the traction motor shield. Electrical insulation can be provided, either by applying a hybrid design based on ceramic balls or with an electric insulating INSOCOAT layer on the bore of the inner ring. This space-saving unit concept, which has fewer parts, enables very easy mounting. 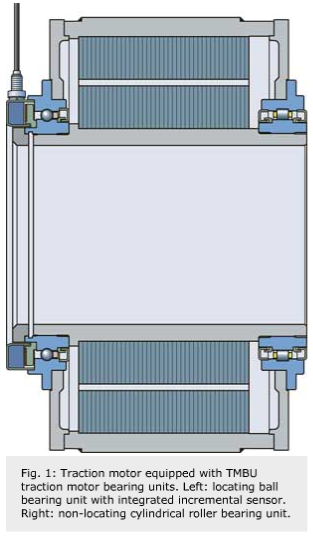 The TMBU design for non-locating bearing arrangements is based on a cylindrical roller bearing design (se bild . 3). This sealed and pre-lubricated bearing unit has an integrated flange on the outer ring that is bolted onto the traction motor shield. Electrical insulation of the bearing can be provided either by applying an electrical insulating INSOCOAT coating on the bore of the inner ring or by using a hybrid bearing equipped with ceramic rollers. Hybrid bearings offer a further improvement of electrical insulation properties, especially for modern high frequency inverter system applications. These bearings are equipped with rolling elements made of bearing grade silicon nitride. This provides superior electrical insulation properties even at very high frequencies. Compared with all-steel bearings, the hybrid bearing units are charac-terized by energy savings because of lower friction and higher precision. This leads to lower operating temperature, longer grease life and, consequently, extended maintenance intervals. The incorporated integrated incremental sensor concept (se bild s. 4 and 5) offers several detection and measurement opportunities, such as absolute positioning detection for traction motor control devices, detection of direction and rotational speed measurement for brake control systems and, if needed, a temperature measurement to monitor reliability. Both sensors are integrated into the sealing system of the outer ring of the bearing unit. For more sophisticated AC propulsion systems used for traction motors, absolute position detection of the rotor with a very high accuracy is required. 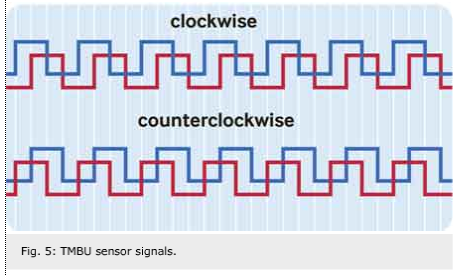 SKF has developed a completely new sensor technology to achieve a position accuracy of ±0.075 % over a 360° circumference and a resolution of 5,632 pulses per revolution. This sensor system can be used for through-shaft applications as well as for end-of-shaft applications. The temperature range capability in operation is between –30 °C and 105 °C. The complete sensor unit is tested according to the railway standard EN 61373 to validate shock and vibration performance. 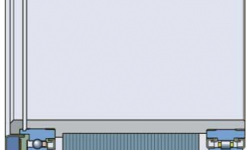 Electromagnetic compatibility is in accordance to the international standard. The sensors are CE marked to indicate conformity with the essential health and safety requirements set out in European directives. carrying out research into trams for the past 10 years and it is one of the most important suppliers of the vehicles, especially in central Europe. 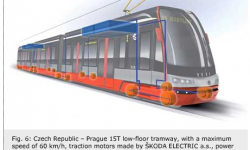 The latest vehicle design from Škoda is a 100 % low-floor tram (se bild . 6), which is also known as ForCity tram. The Prague city tramway operator has already ordered 250 three-section tramcars. 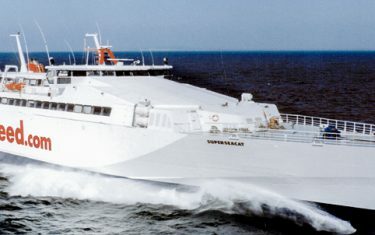 The first prototype was built in 2008 and was introduced at the InnoTrans trade fair in Berlin. The first series trams will be delivered in 2009. The design of the tram is unique and uses fully swivelling bogies for a 100 % low-floor vehicle. To keep noise levels down, the ForCity tram has no gearboxes. The low-running traction motor is cooled by water and drives the wheels directly using a cardan shaft. So it could be called direct traction drive. The three-section tram is 31.4 metres long and 2.46 metres wide. 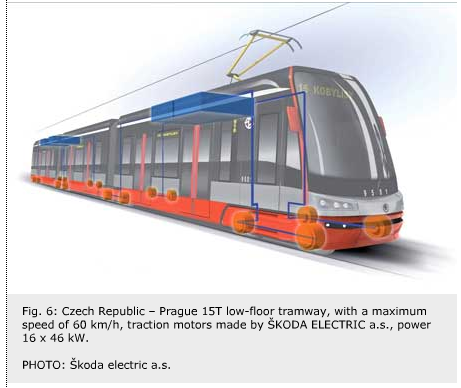 The vehicle has full adhesion and is designed for sophisticated tram lines in Prague. The vehicle is equipped with four traction bogies with extremely low construction height. Every wheel is driven by a synchronous motor with permanent magnets, each controlled by a particular inverter SKiiP, which consists of intelligent IGBT (insulated gate bipolar transistor) modules. There are 16 traction motors HLU 3436 P/44-VA in the tram. An individual control system for each wheel and swivelling bogie provides the vehicle with the optimal drive-through curves, minimizing wheel wear and lowering noise. Brand new traction technology is an essential condition for the unique driving qualities of this vehicle. buckstay. A bearing shield that supports a bearing unit is fitted on both sides of the frame. The frame is equipped with lugs to attach the motor frame to the bogie. The bearing units are equipped with ceramic rolling elements. The ball bearing unit is equipped with two sensors: one to indicate motor control and the other one for the brake system. 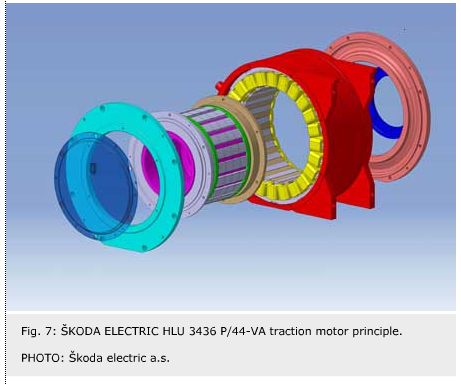 The research and development of the slow-running synchronous motor with permanent magnets has been made possible by extensive collaboration of specialists from ŠKODA ELECTRIC, VUES Brno and SKF. In conclusion, the traction motor bearing unit, or TMBU, design concept offers new opportunities to achieve lower life-cycle cost through longer maintenance intervals. This design saves both space and parts and is also easy to mount. Experience has so far confirmed the expectations of a significantly extended maintenance regimen. INSOCOAT and NOWEAR are registered trademarks of the SKF Group. Bogies equipped with slewing bearings.